Yup, that about covers Freestone's population. Must stop here for local cheese. Omar Mueller, proprietor of Freestone Artisan Cheese. Nice guy. Tell him I sent you. Today's bread selection at Wild Flour Bakery. 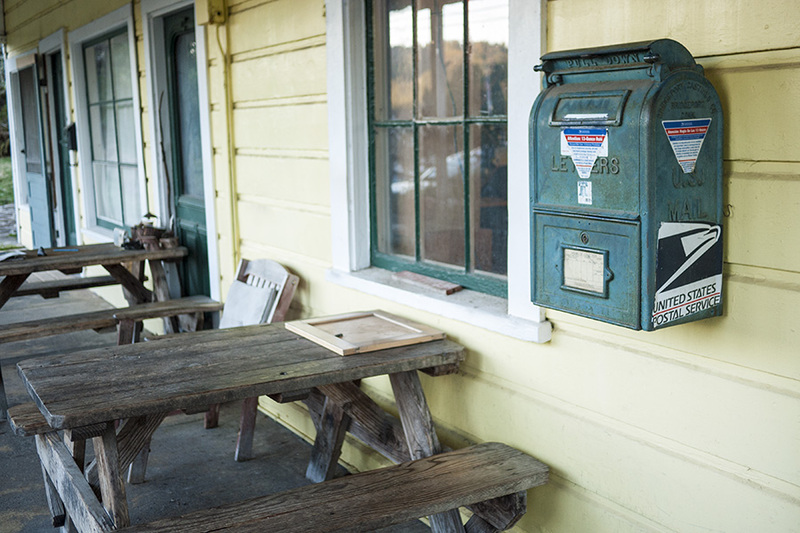 The Freestone General Store is also the post office. Redwood Picnic Grove near the cheese shop. Just a half mile from one end to the other, with a population of about 50 people, the tiny rural town of Freestone sure packs a punch when it comes to provisioning for a superb picnic. West of Sebastopol, it's an easy place to find and a great place to stop before heading to the coast on Coleman Valley Road. 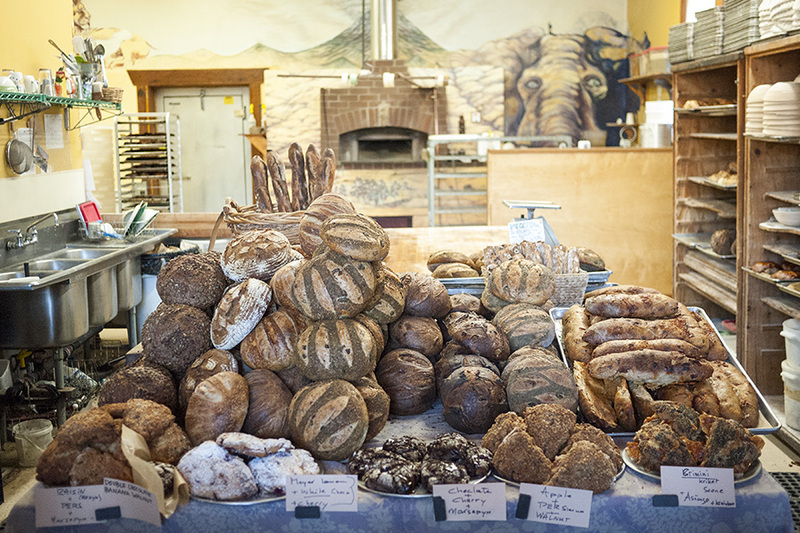 Wild Flour Bread Bakery is my usual stop for fresh warm bread baked in a wood-fired brick oven. Curiously, their wood-fired oven never goes cold. On their days off, they actually super-charge it with wood, bringing the temperature up to 1200 degrees to maintain the optimum heat that they will use later in the week. They also have a great beautiful vegetable and flower garden to get lost in during the warmer months. I'm almost always here in the early afternoon, when the line is pretty reasonable, but I hear it gets really busy on weekend mornings. 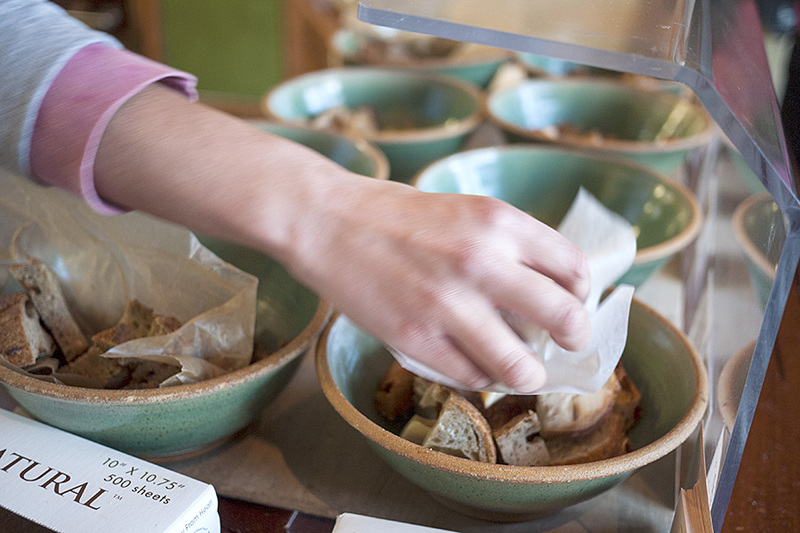 That fresh warm bread needs some cheese and olive oil, and lucky for us Freestone Artisan Cheese is just down the road. Carrying a variety of local cheeses, proprietor Omar Mueller personally knows the people that make most of the cheese in his refrigerated case. You see their faces in the beautiful black and white portraits that hang on the walls of the shop. Taste the latest cheeses before making your selection and while you're at it, don't miss the olive oil and other good stuff he carries. Now that you've got some delicious bread and cheese, you may feel inclined to pair a nice bottle of wine with it and whad'ya know - Joseph Phelps tasting room is also just down the road. With vineyards in Napa Valley and Sonoma, you owe it to yourself to at least taste their premium wines on their outdoor patio. On the furthest edge of town, stop in at the Freestone General Store for anything else you might need, including a broader selection of wine and drinks. And if you're aching from too much driving, or just need a day away from it all - stop in at Osmosis Day Spa Sanctuary for a massage, enzyme bath and some quiet time in their gorgeous gardens. Most places here are only open Friday-Monday, so keep that in mind mid-week, when you feel like playing hooky. I like to park on the side of the road and walk, but you can also park in the bakery lot, by the cheese shop or in the Joseph Phelps parking lot. 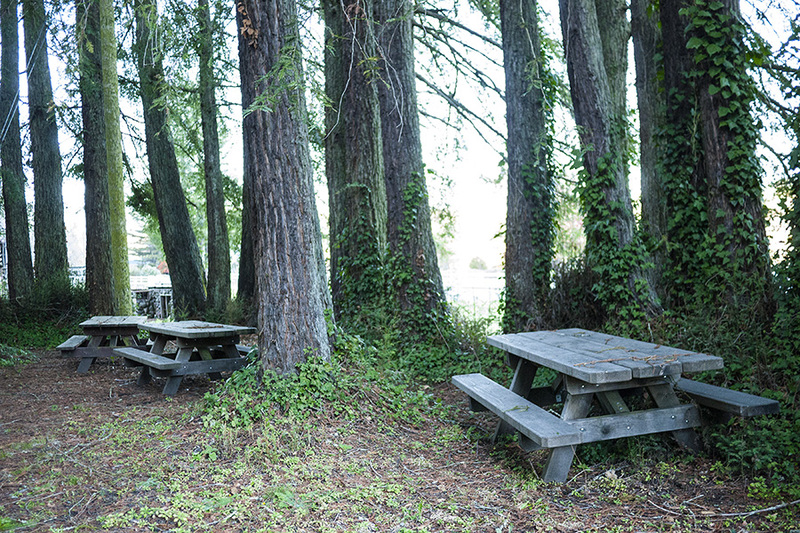 On a hot day, I can imagine that the redwood picnic grove near the cheese shop is a wonderfully shady spot for a picnic, but I'd rather gaze out at the Pacific Ocean and what better way to get there, than Coleman Valley Road.